Earlier this week we announced the AjamSonic upgrade kit for the Ketron SD9, SD60 and SD90 series of instruments. 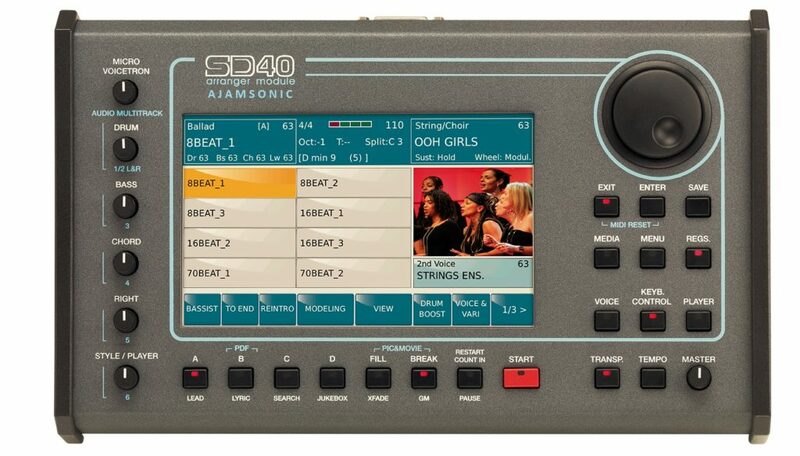 Today we are pleased to announce the availability of the AjamSonic upgrade kit for your SD7 keyboard or SD40 Arranger module. Next Post: Ketron SD9 / SD60 / SD90 Technical Support – Coming Soon!